Real paranormal activity: true stories of the supernatural that will scare the pants off you. We live in a rational world with rational laws. Tales of the paranormal and supernatural have no place in real life... Or do they? The five paranormal stories on this list supposedly really happened, and if they're true, we'll have to rethink everything we think we know for certain. These 5 strange cases of real supernatural events will give even the most devout and stubborn sceptic some food for thought - or at least some entertaining stories to tell after watching horror movies with a group of friends. This list includes the most famous, most convincing real paranormal activity stories and true supernatural events. From exorcisms, to alien abductions, and even to time travel, these stories are spooky, and seem almost too real. On November 5, 1975, Travis Walton and his fellow logging crew members were driving home from a job in the forest when they all saw a bright light beyond the crest of the road. When they reached the top, they saw a disc hovering above the road, shining a light down upon the earth. Seeing this, Walton jumped from the truck and ran towards the disc to get a closer look, while the other men shouted for him to come back. After getting fairly close, Walton began to back up before he was struck with a blue-green light that knocked him to the ground. In panic, the truck took off the other way before deciding to go back for Travis, only to discover him missing. A massive manhunt resulted, yet no sign of Travis could be found. Five days later, Travis returned, making a desperate call from a phone booth and believing he had only been missing for a few hours. Massive lie or true, alien abduction? The Travis Walton case is one of the most famous and controversial of all alien abduction stories. When subjected to polygraphs, however, the men on the crew all passed (minus one who did not complete the polygraph for fear of revealing his hidden, criminal background) as did Walton (failing his first one yet passing two after that). The interesting thing about this case is the number of people it involves and the fact that all their stories match up. In 1968, at the age of 16, Anneliese Michel began suffering from convulsions. By 1973, Anneliese had developed such a strong psychosis that she would hallucinate while praying, see demon faces throughout the day and hear voices declaring that she was damned. She would also make what were described as "demon faces," rip her clothes off, eat coal, and lick up her own urine. In addition, she became completely intolerant of religious symbols and could not partake of holy water. For a majority of the time Anneliese was experiencing these psychoses, she was committed to a psychiatric hospital, where she was prescribed a variety of drugs, none of which seemed to help. By 1975, Anneliese and her family, tired of the lack of progress made with conventional medicine, decided to turn to the Catholic Church which determined that Anneliese Michel was suffering from a demonic possession. Over a ten month period, Anneliese underwent seventy-six exorcisms, and eventually died from starvation when she refused to eat. Demonic possession or severe psychosis? Whatever the truth, watch the attached clilp and hear Anneliese during an exorcism, starting at 00:20. 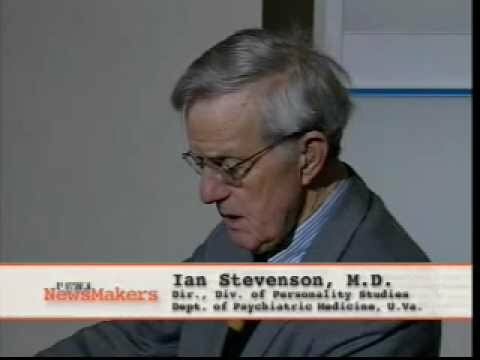 Dr. Ian Stevenson is perhaps the most famous and respected researcher of reincarnation. In fact, in an entire 1977 issue of the Journal of Mental and Nervous Disease was devoted to his work which cited Stevenson as being "a methodical, careful, even cautious, investigator, whose personality is on the obsessive side... Either he is making a colossal mistake, or he will be known... as the 'Galileo' of the 20th century." One of Dr. Stevenson's most famous cases of "verified" reincarnation dealt with a little girl by the name of Swarnlata Mishra who, at the age of three, began giving details of a life lived by someone by the name of Biya Pathak. By the age of 10, she came to the attention of Dr. Stevenson who researched the stories being told by the girl and was able to verify 50 distinct facts of the woman who had no connection with Swarnlata's family and had lived 100 miles away. Furthermore, when Biya's former husband heard of the case, he came to Biya, along with his two sons and nine townspeople. Immediately upon seeing them, Swarnlata identified one of the son's by calling him Babu, Biya's pet name for the son, and was able to go through all the family members, identifying them correctly. This was despite efforts on the family's part to claim otherwise and trick Swarnlata, but she would not sway from her assertions. On November 2, 2000, a post appeared on the Time Travel Institute forums from a man claiming to have the knowledge of what it would take to make a time machine work. Over time, the posts evolved into an actual claim of time travel from a man calling himself John Titor. Titor declared he was an American soldier from the year 2036 assigned to a governmental time travel project and the posts blew up, establishing quite a following, including the John Titor Institute. What separated Titor's posts from an average crank was his complex detailing of events and technology. His prediction of a civil war within the U.S. by 2008 as well as his claim that there would be no Olympics after 2004 didn't exactly come to fruition, but Titor also asserted that, "the Everett-Wheeler-Graham (or 'multiple world') theory is correct: all possible quantum states, events, possibilities, and outcomes are real, eventual, and occurring. The chances of everything happening someplace, at sometime, in the superverse is 100%." So it's actually impossible to prove that any of his predictions are incorrect because we could simply be living in a universe parallel to his. In March 2001, the Titor posts stopped, never to pop up again because that's when John went back to his own time... supposedly. Check out the John Titor site for more information and see why it's been said that the craziness presented can make a sane man believe the insane.